When Mangalagowri held little Keerthan in her arms for the first time, she thanked her stars for blessing her with a healthy baby. 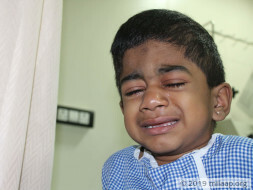 But 3-year-old Keerthan isn’t like other children his age. 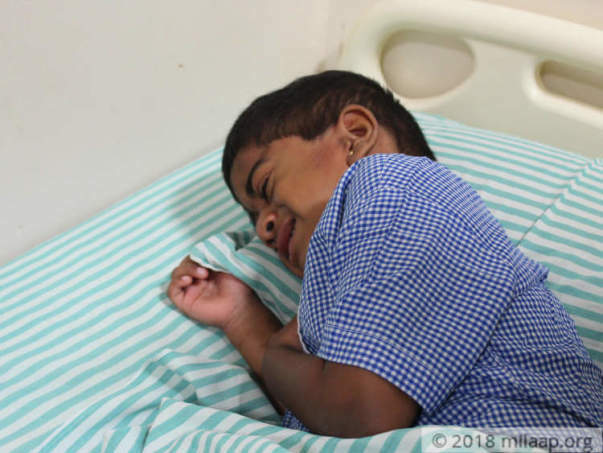 The rare, severe disease he’s suffering from has not only stunted his physical and mental growth but is also making his condition worse with time. If Keerthan doesn’t get the life-saving bone marrow transplant before he turns 4, he won’t survive this disease. 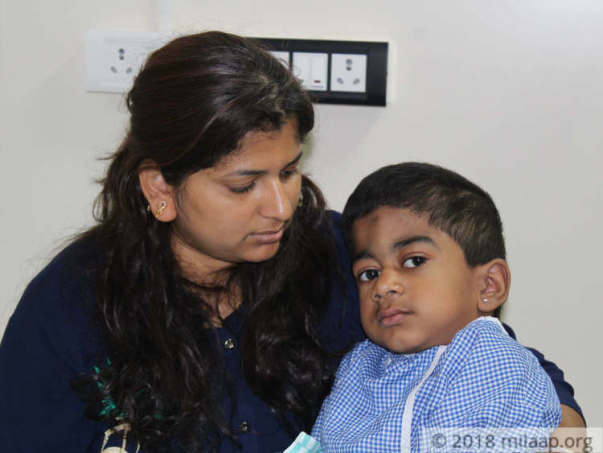 Keerthan has Mucopolysaccharidosis, a condition which distorts the body, stunts physical growth and development, limits joint movement and even affects intellectual development. This is extremely rare and dangerous, shortening the lifespan of the child considerably. The news of his diagnosis came as a complete shock to Mangalagowri and Nanjappa, who all along thought their child was ‘normal’. Keerthan turns 4 in September. Instead of preparing for a celebration, his parents are struggling to find a way to save their only child. They have spent nearly 8 lakhs on his treatment so far by taking loans, but now they see no way out of this misery. 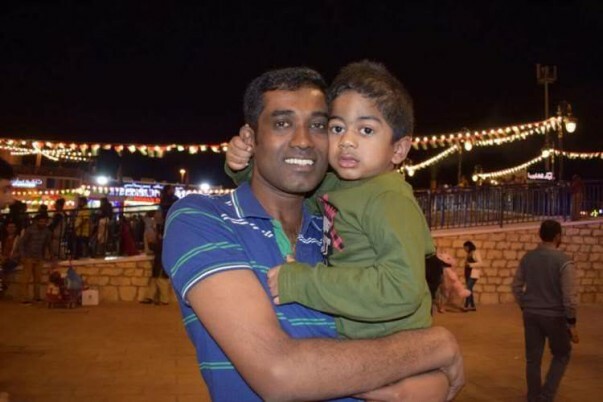 Keerthan needs 40 lakhs to have the transplant that will save his life. Nanjappa has a small vehicle repair shop in their hometown Kunigal, and his meager income isn’t enough to get Keerthan treated. 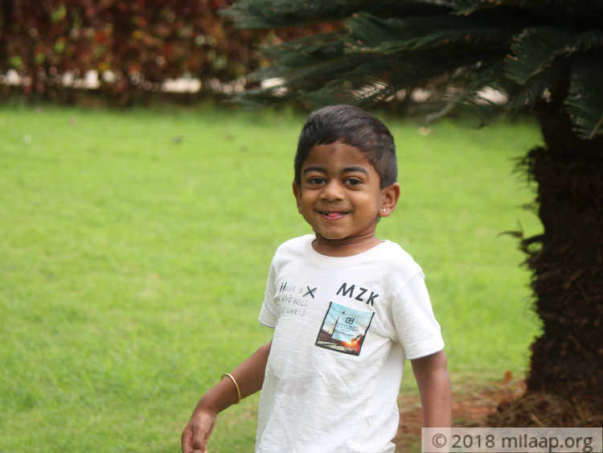 Keerthan just has a few weeks to get a bone marrow transplant that will save his life. His rare, severe disease is only making him weaker by the day, and there’s nothing his parents can do anymore to help him. 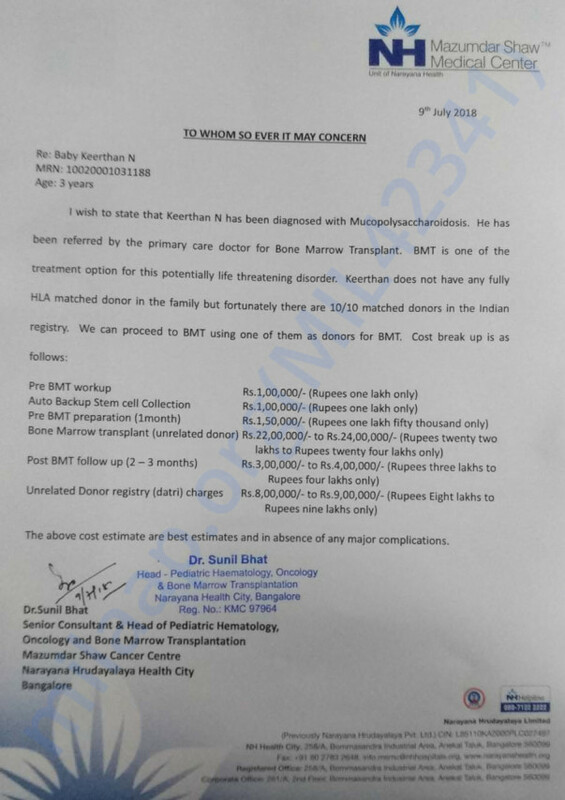 After spending lakhs on his treatment so far, they’re struggling to find a way to afford 40 lakhs. 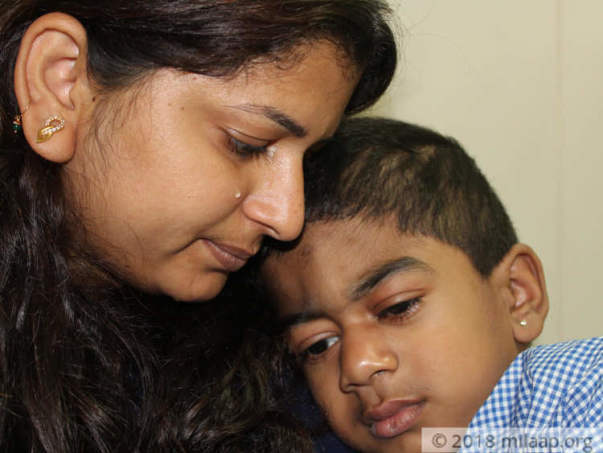 Keerthan will only survive with a bone marrow transplant and he desperately needs your help. 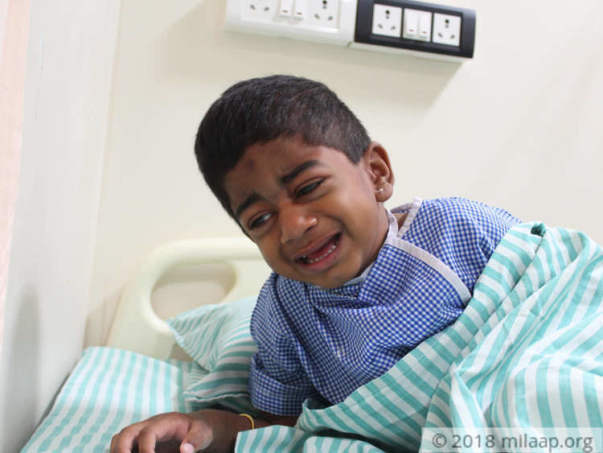 Your support will save Keerthan’s life. We Pray for Keerthan's Quick Recovery.